The Witcher 3 is how big on consoles? I knew that I’d fill my hard drive on the new generation consoles; I just didn’t expect them to fill up this quickly. 500GB sounds like a lot, but when games are easily 20-30GB, that space fills up much faster. 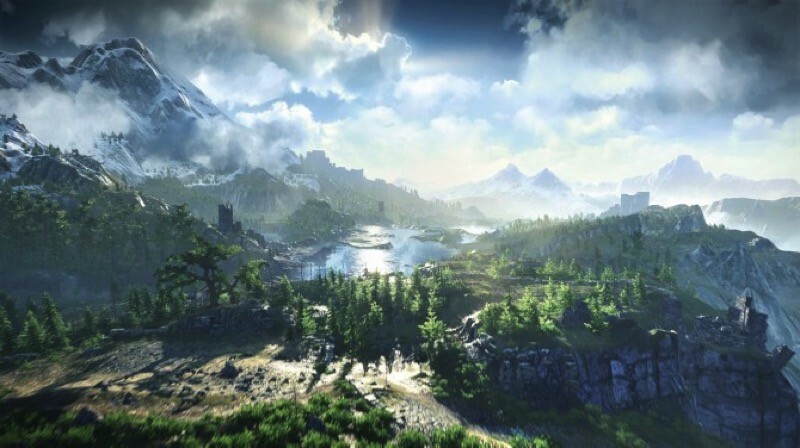 The Witcher 3: The Wild Hunt is promising a massive world and over 100 hours of gameplay. So, I guess the install size on consoles shouldn’t surprise us too much. While the PC version will require 40GB of hard drive space, the PS4 version is listing a minimum install size of 50GB and we can assume a similar size will used up on your Xbox One. It’s a good thing that you’ll only be playing it exclusively for a while once it launches – there isn’t much room for other games to be installed at the same time. To put this in perspective, Dragon Age: Inquisition was around the 40-45GB mark on PS4. So, I guess the Witcher 3 will be a bigger game. Then again, the developers explained that they are trying to offer a different experience to what Dragon Age did, even though they enjoyed that game, too. I think, we are a completely different kind of fantasy. Like Dragon Age is more kind of high fantasy, like dragons and spells, and The Witcher is more grounded, fantasy may be a part of the world, but it isn’t the main thing. There is magic in the world, but only a few people are able to cast it, and it is anchored to a certain view that people have towards it. It is much more about the people living in the world, and it just so happens to have all of these kinds of monster roaming around. Fantasy gives us more of a kind of freedom as well to design the world with. We fully admire what Dragon Age has achieved with a couple game of the year awards and it is really nice. I played that game and I really enjoyed it, but we are approaching a slightly different kind of experience, which is a very very deep type of story telling. I think that if you go into The Witcher world very heavily, you will discover just how many things you can discover. With over 100 hours of gameplay and some of the best visuals we’ve ever seen in a game, The Witcher 3 is promising to set a new standard for RPGs. I suppose it then makes sense that it will take up about 10% of the HDD space on the PS4. I know that the game will be best on PC, but I wouldn’t be surprised if many people opt to play it on console. If you don’t have a top of the line PC, it may be hard to deal with running the game on sub-optimal settings and it might not look as gorgeous as you know it could. Instead, the console versions will look lovely and you know that they will be optimized for what’s inside. Just be prepared to delete some of your lesser played titles to make room for the install. Previous article Is Erron Black your next Mortal Kombat X fighter?